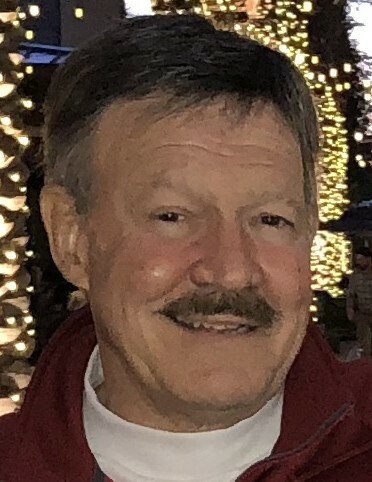 Frederick “Rick” Roehm, 72, of Inverness, passed away comfortably on Friday, February 1, 2019 in Barrington. He was born on February 26, 1946 in Oak Park to Arthur Wesley and Mildred (nee Cleveland) Roehm. Rick attended Oak Park/River Forest High School, graduated as an SAE from Miami University (Ohio) and received his Master’s in Business Administration from Northern Illinois University. He was an educator at heart who started his own financial planning business, Money Masters Inc., over 40 years ago. Rick loved people and never met a stranger. He was always willing to lend an ear or offer a suggestion in any circumstance. He was a beloved Chicagoan who adored his local sports teams. Top of the list was his cherished White Sox and Chicago Bears. He was a fan who never stopped believing! Being an avid sports fan drove him to the links. He loved his golf and traveling to his HAPPY place at Eagle Mountain in Fountain Hills, AZ. The starters on the course knew his name and the restaurants in town knew him as “Rick from Chicago.” We always loved that! He will be dearly missed and we will think of him often. In typical Rick fashion and from those that knew him best, yes, Rick, we will see you around campus! Rick is survived by his lovely wife, Martie (nee Grube) Roehm, whom he married 50 years ago on June 28. His life is being celebrated through his two children, Christopher Roehm, and Katie (David) Dumele; his five grandchildren, Carson and Brady Roehm, and Addison, Dylan, and Brooklyn Dumele; his two sisters, Jan Culbertson and Judith Roehm; his three sisters-in-law, two brothers-in-law, and several nieces and nephews. He is preceded in death by his parents. A memorial visitation will take place from 3pm until 8pm, with a memorial service beginning at 7pm, Monday, February 25, 2019 at Davenport Family Funeral Home, 941 S. Old Rand Rd., Lake Zurich. In lieu of flowers, memorial contributions may be given to the Leukemia and Lymphoma Society, www.lls.org.